Britain and the Ottoman Empire sign a treaty of alliance at Constantinople. The Ottoman Empire and the Two Sicilies sign a treaty of alliance at Constantinople. 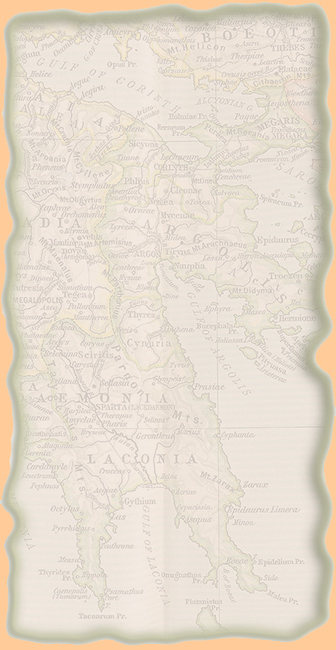 At Naples, the French proclaim the Parthenopean Republic, which will last until June 13, 1799. Creation of the Army of Observation (Armée d'Observation). Commander: Bernadotte. The new French Defense Minister is Louis-Marie-Antoine Millet de Mureau. He succeeds Barthelemy-Louis-Joseph Scherer. Massena is the new commander of the Army of Helvetia. The Siege of Jaffa (part of the Syrian Expedition) begins. It will end on March 7, 1799. Creation of the Army of the Danube. Commander: Jourdan. Formerly, it has been the Army of Observation. The Siege of Jaffa (part of the Syrian Expedition) ends. It had begun on March 3, 1799. Napoleon Bonaparte and his soldiers take the city, leave their sick soldiers (plague) at the Armenian monastery, and then continue north to Acre. You can visit the Armenian monastery today, by the way. Just set your GPS to 32° 3′ 18.92″ N 34° 45′ 8.22″ E. You will find yourself in today's Tel-Aviv, Israel. Apparently, rumors later circulated accusing Bonaparte of having poisoned those of his soldiers that had contracted the plague. To this end, Bonaparte ordered a canvas that would not only contradict the rumors, but also make him the Messiah of the story. touches a sore on one of the plague victims with his bare hands. Not coincidentally, the viewer is reminded of Jesus Christ. France and Austria are officially at war with each other. The French siege of Acre (Akko, Akka, Saint-Jean d'Acre) begins (part of the Syrian Campaign). It will end on March 20, 1799. Acre's sovereign is the Turkish Ahmed El Jazar (Ahmad al-Jazzar). This siege is part of Bonaparte's Syrian Expedition, which, in turn, is part of his Egyptian Campaign. The Syrian expedition had been launched to prevent a possible attack by the Turks. 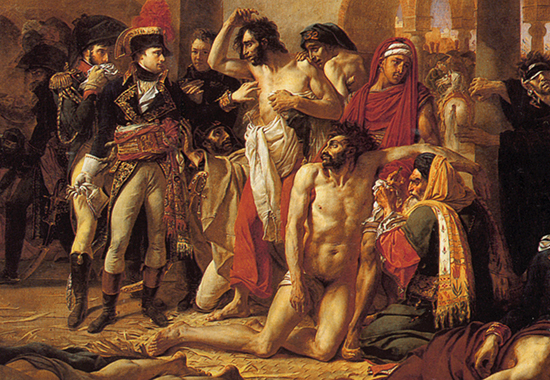 Bonaparte ends his unsuccessful siege of Acre (part of the Syrian Campaign). It had begun on March 17, 1799. Austria defeats France, led by General Jean Baptiste Jourdan at the Battle of Stokach, fought at Stokach / Liptingen near Lake Constance. The French arrest Pope Pius VI. Massena is the new commander of the Army of the Danube. Mesnard is the new commander of the Army of Helvetia. His post is temporary. Ernouf is the new commander of the Army of the Danube. On paper it is Massena. Ernouf's post is temporary for the duration of the transition until Massena gets himself set up. Jourdan is on sick leave at Paris since April 3, 1799. Battle of Mount Tabor. The French, led by Kleber, defeat the Arabs. This battle is part of Napoleon's Egyptian Campaign. Congress of Peace at Rastatt (Rastatter Friedenskongress) ends. A Russo-Austrian coalition force, led by Russia's Count Suvorov and Austria's General Michael Friedrich von Melas, defeats a French army, led by General Moreau at the Battle of Cassano (Cassano d'Adda, 18 miles / 30 km east of Milan). The Army of Helvetia is merged into the Army of the Danube. Commander since March 31, 1799: Massena. Great Britain introduces the income tax to pay for the war. 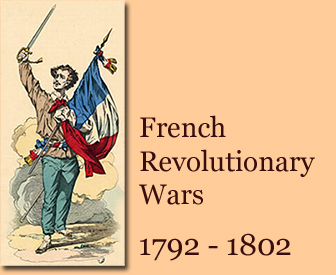 See French Revolutionary Wars and Income Tax. First Battle of Zurich. Austrian victory. The Battle of Trebbia begins. This battle will end on June 19, 1799. Coup d'état of 30 Prairial, year VII. Moderates were kicked out of the Directory. The Battle of Trebbia ends. This battle had commenced on June 17, 1799. A combined force of Russians and Austrians, led by General Suvorov, defeat the French, led by Jacques-Étienne Macdonald, in northern Italy. The new French Defense Minister is Jean Bernadotte. He succeeds Louis-Marie-Antoine Millet de Mureau. A Turkish fleet arrives at Aboukir Bay but they won't come ashore until July 14, 1799. The Ottoman forces who had arrived at Aboukir on July 11, 1799, go ashore. The Battle of Aboukir (part of the Egyptian Campaign) begins. It will end on July 25. If you referred to the Battle of the Nile (August 1, 1798) as the Battle of Aboukir (Bay), then this battle today should consequently be your Second Battle of Aboukir (Bay). Third day of the Battle of Aboukir (part of the Egyptian Campaign). The Ottoman Turks have gained the upper hand over the French. But the battle is not quite over yet. Bonaparte is on his way. The Army of the Danube gets split into two: The Army of the Danube and the Army of the Rhine. Napoleon Bonaparte crushes the Turks. The Battle of Aboukir (part of the Egyptian Campaign) is over. 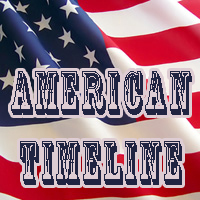 It had begun on July 14, 1799. Battle of Novi (Novi Ligure). An Austro-Russian army, led by Alexander V. Suvorov, defeats the French, led by Joubert and Moreau. French General Joubert is killed. Bonaparte manages to sneak out of Egypt. He will land on the French mainland at Frejus on October 9, and arrive in Paris on October 14, 1799. Pope Pius VI dies in French captivity at Valence. The Catholic Church will be without a pope until March 14, 1800. The new French Defense Minister is Edmond-Louis-Alexis Dubois de Crancé. He succeeds Jean Bernadotte. Battle of Bergen. In Holland, the French, led by Guillaume Brune, defeat the British and the Russians. Second Battle of Zurich. French victory, led by André Masséna. Russia and Portugal sign a treaty of alliance at Saint Petersburg. Russia and Bavaria sign a treaty of alliance. Battle of Castricum. In Holland, the French, led by Guillaume Brune, defeat the British and the Russians. Bonaparte back on the French mainland. He lands at Frejus and travels on to Paris. Napoleon Bonaparte comes to power via coup d'état ( Coup d'Etat du 18 Brumaire) that overthrows the Directory and installs the Consulate. This is the end of the French Revolution. Installation of the three provisional consuls Emmanuel-Joseph Siéyès, Pierre-Roger Ducos, and Napoleon Bonaparte. The new French Defense Minister is Louis-Alexandre Berthier. He succeeds Edmond-Louis-Alexis Dubois de Crancé. The Army of the Rhine and the Army of the Danube merge into the Army of the Rhine. Constitution of year VIII (Constitution of 22 Frimaire Year VIII). This constitution had been drafted by E.J. Sieyes. George Washington dies at Mount Vernon, Virginia. Adoption of the Constitution of the Year VIII: Bonaparte becomes First Consul of France. Sieyes and Ducos, who? Last day in office for the Conseil des Cinq-Cents. On January 1st, 1800, it will be replaced by the Corps Législatif.